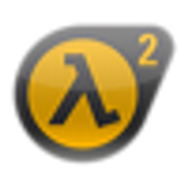 This article let's you know how to setup your HL2DM mod to be exactly like HL2DM. This is an update to chrono's snippet. A basic fix for stopping the grenade from auto-switching to the next best weapon after you throw one. Also allows more than one grenade to be thrown. Remember HL1's cross bow bolt exploded when it hit? Get that, in HL2. This will let you optionally set far clipping/fading on particles, so you can fade particles out at a certain distance from you. You wanna make a mod? This tutorial focuses on the behind the scenes aspect, and less on the content. Adds a console command to output the players bounding box mins & maxs to the console, and also draw's the bounding box in the world. This tutorial will cover the code needed to add Slams and SGM1 Grenades as Ammocrate types, and also fix the graphics for two of the existing ones. I missed the zooming feature of the 357 that was in HL1 so I thought as a beginner tutorial I'd write a weapon zooming lesson. I then carried it out to a 3-stage zoom. allows players to pick up objects with +use in multiplayer. A fully documented exploration into the weapon_rpg class, starting with the basecombatweapon class and moving up the inheritance stack. The first part of the article disects basecombatweapon_shared. Explanation on handling VGUI without having a connection to a game. This is a quick and painless Artical on how to setup Visual Studio .net 2005 Beta, for use with Source Mods. Explains how to create 3 firing modes for the pistol: semi-automatic, burst-fire, and fully-automatic. A Small tutorial that explains how to put in simple muting on your scoreboard. Make the bots join whichever team you wish. So easy, even I can do it!